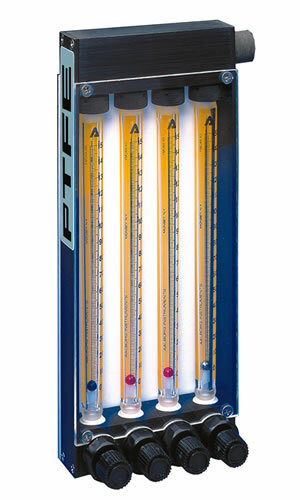 Model Tx Multiple Tube PTFE-Glass flow meters combine the convenience of multiple tube meters with the unique design features of single tube PTFE-Glass flow meters. 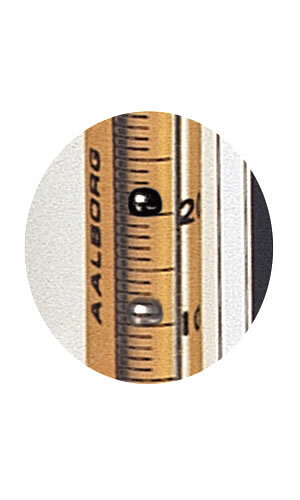 These meters are available with the same interchangeable 65mm or 150mm glass flow tubes used in single tube designs and they are available with or without built-in PTFE needle valves. Wetted inert components are surrounded by structurally rigid anodized aluminum. The resultant design represents a unique combination of a rugged mechanically rigid frame and chemically inert wetted parts. They are ideal for applications where several streams of corrosive gases or liquids are to be metered in individual channels or as a controlled mixer in manifolded models.